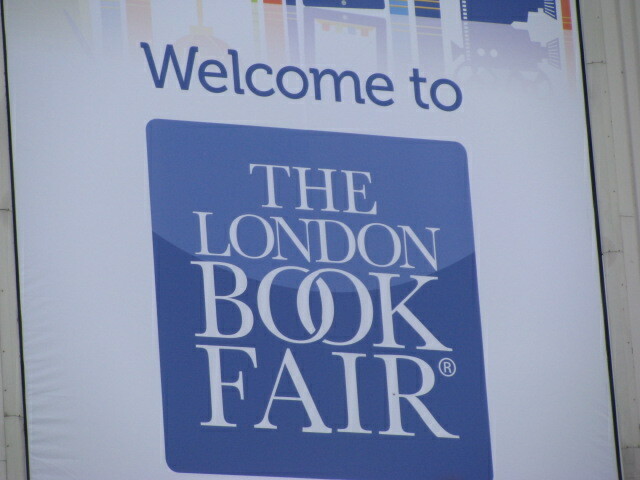 While at the London Book Fair I had the opportunity to hear Peter James speak. He is a British author who is known for his crime novels featuring Detective Roy Grace. According to James, crime novels show the best and worst of human nature. He claimed that if Shakespeare were alive today, more than likely he would write detective novels. James reasoned that Shakespeare wrote plays since during his day not many books were published for mass audiences and many of the people did not read. Plays were the best format for him to reach a large audience. However, in today’s world, books are plentiful and his options would have been wide open. What do all of you think about James’s claim that if Shakespeare were alive today, he would write crime novels? Also, today is April 23. William Shakespeare died on April 23, 1616. In honor of his life and works I plan to read at least one of his plays this summer. And I would like your help in selecting which one. Please check out the poll below and let me know which one you think I should read. These are the works that I have in my collection. Thanks and feel free to vote as many times as you want if you really feel passionate. Voting ends this Sunday, April 29th. This entry was posted in Books and tagged British Authors, British Writers, English History, Literature, London Book Fair, Peter James, Plays, William Shakespeare. Bookmark the permalink. …. 🙂 I think this is amazing because of Macbeth! I’ll keep that in mind Nia. My mom used to quote Macbeth all of the time. I agree. I can definitely see him writing crime novels. That would have been right up his alley! At first I scoffed at it but then I thought about it and I realized that he had a great point. It is a fun thought. I love crime novels, movies, and television shows! My spontaneous reactio to what James said was “no, he wouldn’t”. I can’t really tell you why I think so. On the other hand … thinking of Macbeth. He has a lot to offer. A Midsummer Noght’s Dream was very importnat for me when i was longer, later it was Macbeth but I’m also extremely fond of King Lear. Tough choice. Glad you liked the poll! You know I love them! I did it again… typos … typos . “when I was longer” lol -younger of course. Over the years I would like to read a majority of his works. I read some in school, but not enough. But given my reading challenges this year, I thought I should start with one. When James first said it I wanted to argue right away, but I think he has a point. I went home that night and pondered it and I started to think that I could see him doing it. Not that he would strictly stick to the genre, but I could imagine components. I just don’t think he would be a genre writer. It would, if anything, be some very sophisticated type of crime writing like Kate Atkinson or so. I haven’t read Atkinson but I think I have a couple of her novels on my shelf. Do you have a favorite? I voted! Not that I have any real experience reading Shakespeare other than what I read in high school…..great post and a way to remember him!!! He was mentioned a lot at the book fair…he’s influenced so many writers over the centuries and I feel horrible that I haven’t read all that much. I need to correct that oversight. Thanks for voting! I won’t give up on you 🙂 How ’bout a movie? Thanks! I’ll pop on over to check it out. Crime novels? Hmmmmmmm….it’s a stretch, I think. I’m no Shakespeare expert, but as your list illustrates, he was a pretty versatile playwrite. I think that he may not be confined to one genre, were he alive and writing today. You have an excellent point…I bet he could dabble in many different genres. Crime and murder do pop up a lot in his writings. I’m excited to see what the voters decide. I might have to revisit this question when I read more of his works. It is an interesting theory…but you are right, he is a romantic. His love sonnets–well do I have to say more. I’m so jealous you saw Ethan Hawke perform in The Winter’s Tale. That’s so awesome. Macbeth for tragedy (although Lear is brilliant it is longer and you already have a lot on your plate!) and Much Ado for comedy…and that’s why he wouldn’t write crime novels. He was not a genre writer. He went all over the place. He also liked to perform and make money. He would write movies and TV (he would be a David Chase show runner type) all MHO of course. I think he would be hard to pin down for a certain genre…back in his day, he seemed to do it all. Many of the writers I heard speak last week also wrote movies and TV. I didn’t realize it before I heard them talk. It makes sense but I was surprised by how much they actually accomplish. Eventually I want to get to most of his work…it will take time. I don’t think I could read one after the other like some writers. Many people feel as you do about reading him back to back but there is something to be said for getting into the flow of his writing and his use of language. For me, the more I read the easier the language flows and and the more I understand the 17th century usage. I do not know if you ever saw the movie “The Harder They Come” but when it was first released in the States they subtitled the first 15 minutes or so until your ear adjusted to the Jamaican English. Then the titling stopped. It was remarkable how much that short amount of time with the “translation” helped your ears/brain adjust to the language. I’ll have to look into The Harder they Come. I’m finding here that I am getting used to different accents. At first I did a lot of nodding and smiling but now I struggle less. And you might be right, it might be best to read them closer together. We’ll see how it works out. I’m finding that is working really well with Dickens, which takes some getting used to. I am not sure about the detective novel thing. WS’s plays are wider than the detective genre. If Simon Callow ever reprises his one man show about Shakespeare, do go. He raises very interesting points about the type of education Shakespeare would have received, and how that impacted on his writing. Maybe he would have written under a number of names. Maybe he would have written film scripts and for television. It is an interesting idea for discussion, but I don’t think it really holds water. BTW, I voted for Much Ado, because it is a lighter play than the others you have chosen, but Macbeth is probably my favourite to read, and a good performance of Hamlet knocks your socks off! What are the RSC doing? I hope Callow does reprise the show since you’ve sold me on it. I would love to learn more about Shakespeare and I’m hoping I will by reading his works. I added Much Ado in case people prefer lighter reading. I’m curious how the poll numbers turn out. This is my first attempt. I need to look into the RSC, I would love to catch some live performances. I love the theater and since I live here now it would be shame not to see some of his plays. The thing is, plays are meant to be performed, so you get far more from them when you see them rather than read them. There is a film of Richard lll with Ian McKellan as Richard you might like. Callow may have written a book, or that might be an interesting one to read. I hope you are going to the Globe over the summer! Great Performances shot a brillant performance of “The Scottish Play” starring (both nominated for Tony awards for the perfomances) Patrick Stewart and Kate Fleetwood (if she is in anything, ANYTHING, in London, go see her) that should be available on DVD on perhaps streaming. The Globe is on my radar for this summer! I would love to see as many as possible, depending on time and money. I’ll add the Richard III to my rental list. And I’ll google Callow. Thanks for the tips! Hi Robert. I’ll keep an eye out for Kate Fleetwood. Also I’ll be in NYC this August and I’m hoping to catch at least one show. Not sure if it will work out yet, but that is the plan. Oh my, I really don’t know. My gut feel is no, but I don’t have an explanation for why. I understand completely…that is how I felt right when he said it. Nooo, I think he would be a war correspondent. That is an interesting theory Gilly! I voted for Much Ado. It is perfect summer fare. Light enough to enjoy on a hot summer day. Plus you have the bonus after reading it of sitting down and watching the excellent film adaptation by Kenneth Branaugh. Great stuff all around. I bet I would read any type of novel Shakespeare would write. He was a genius. I think Much Ado is tied with Macbeth right now…we’ll see which one wins! You’ve inspired me to read some more of Shakespeare as well. Just trying to imagine Shakespeare in modern times is hard – I can’t even begin to imagine what he would be writing! As for the poll, I voted for Macbeth, thus far my favorite Shakespeare play. I hope you enjoy reading whatever you select. Thanks for voting. It would be interesting to see Shakespeare in today’s world, but I can’t quite picture it myself. I voted for ‘Merchant of Venice’. It doesn’t get as much press as some of the other works by Shakespeare and should. Thanks for voting! I saw one of the recent movie adaptions of this one and enjoyed it. Please read “Much ado about nothing”! 😀 I’ve read almost all of Shakespeare’s works when I was still in high school and one of my favorites was Much ado about nothing. It’s quite similar to Pride and Prejudice. Now, when I think about it, all of the works of Shakespeare that I’ve read are really, really, REALLY good. So maybe it would be nice if you read all of the books you have of him. Each one is unique and focuses on a certain plot etc. No wonder he was famous all throughout the ages. I noticed you didn’t have A Midsummer Night’s Dream, you should have it too. It’s good. Regarding your notion that Shakespeare would write detective stories. Maybe he would write some, but I don’t think he’d focus in that genre alone. I see him as someone who could write serious, comical, fantasy and love stories. But I think he’s the type to write love stories with twists. I see him as a romantic. 😀 More like Nicholas Sparks BUT not as serious. Shakespeare’s works have a comical twist to its stories. It’s as if he tends to make fun of the characters’ situations (except for the tragic stories of course). I love the romantic aspect of his works. He really understand human behavior, good and bad and present his characters in a fun and lovable way. I’ll do my best to read as much as possible by him. Thanks for all of the insight! I really like these reading challenge of yours (as well as the other challenges you have set for yourself). Thanks for the kind words. I’ve always enjoyed challenging myself. It adds to the fun of life for me. I’ll do my best to post my reviews! So you think he would go straight for the money…makes sense since he wrote plays to reach a mass audience. TV does the same thing. Thanks! I voted for The Merchant of Venice for its’ comedy as well as drama. Besides we all need a show of mercy these days.